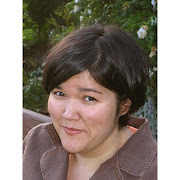 I took a class with Julie Ebersole this past weekend--very fun and inspiring. One of the projects involved this watercolored butterfly but I didn't finish it and then couldn't remember quite what it looked like so I made it my own.  Edited to add link to Julie's card I CASEd. Don't you love how the Wink of Stella glitters beneath the Glossy Accents? And I was really surprised by how much HA ombre ink lightened up after I applied the GA. 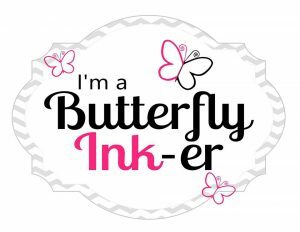 Very cool since the ombre remained--now it's like I have 2 sets of ink for the 1. 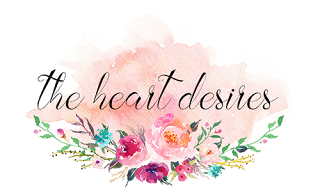 I'm up on The Heart Desires today with a happy geometric plaid card. 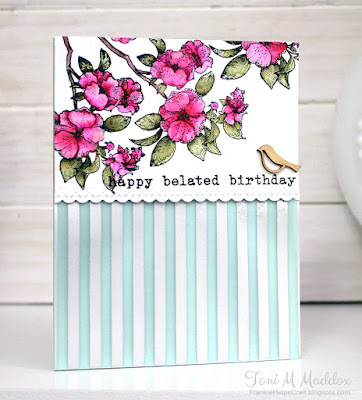 Do you remember the card I made for Laura's birthday? The flowers are made from the leftover outline of the quilt pieces. Squee! Don't you love how the embossing folder pairs with the flowers? I love the bits of gold too. And the sentiment? 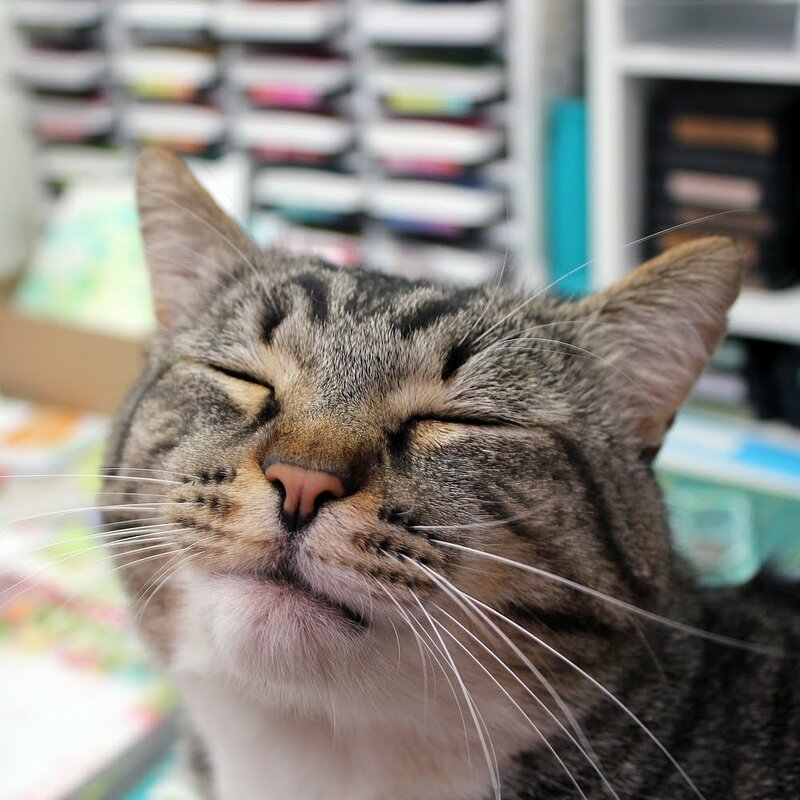 Why, it's washi! Word of warning if you pick some of this up--once it's down, it's down. Trust me. 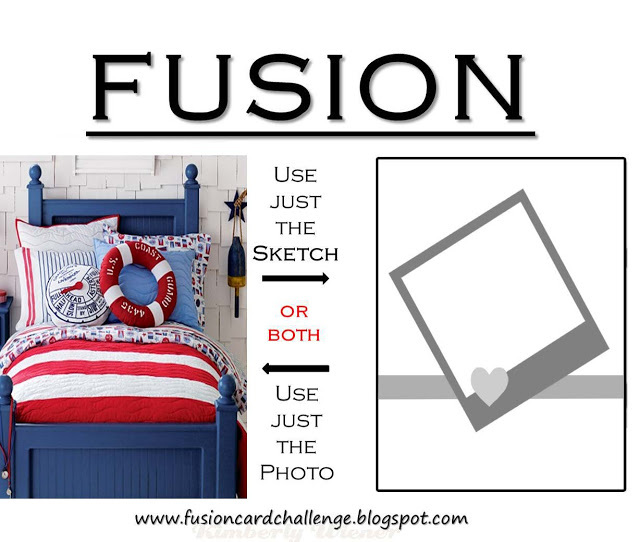 I saw the Fusion challenge this afternoon and had to join in! 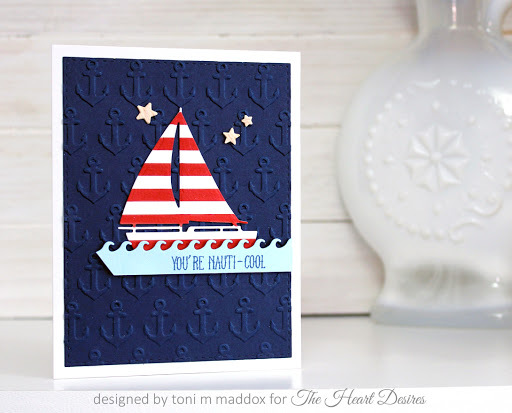 Such a fun pic and very much in keeping with my current nautical obsession. I diecut then embossed the background with the cutest Carta Bella embossing folder. I love the size of these folders which are a bit bigger than normal so there's no plain space on the sides. I then diecut the sailboat out of Fancy Pants Making Waves paper then colored the red stripes with a Copic to make them a brighter red. The sentiment strip came next mounted on foam tape. I made the stars by die-cutting balsa wood. They're somewhat delicate but super light so great for posting. Another birthday card for today. 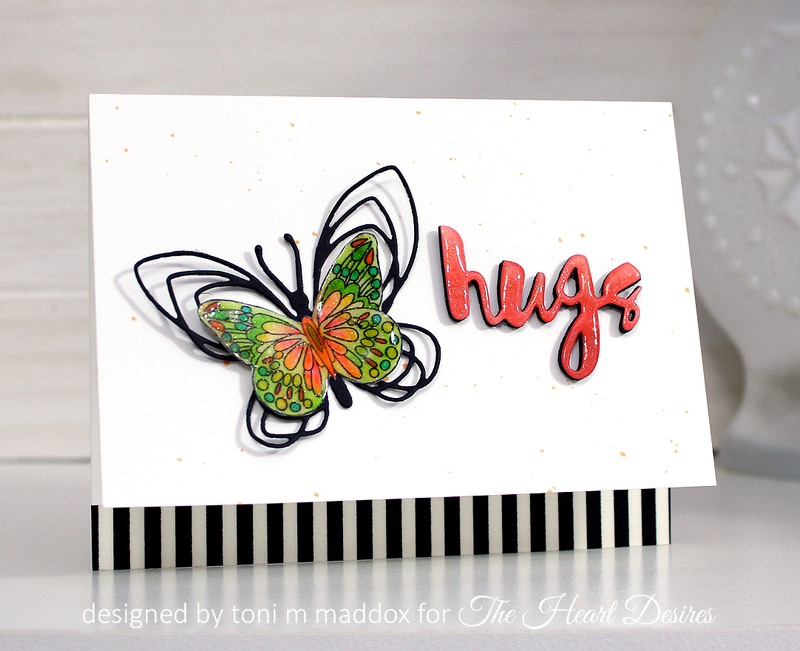 Thanks to my sweet friend, Katie, for the loan of the flower stamp--hugs! 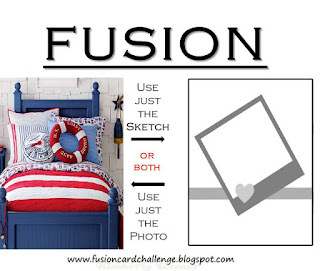 I saw the inspiration pic at Fusion and was struck by the floral and stripes, not to mention the scalloped edges. Sweet and sorta shabby too. I used my new 60 pack of Zigs--so glad I picked that up--the range of colors is fantastic! One more thing, the striped silver vellum is SU gold vellum reversed. It has such a lovely sheen. I layered that over a pale aqua paper to bring in some of the blues in the inspiration pic. Dreamy! For my card, I had diecut the Stampendous sunflower a while back with my Cameo PicScan mat--that was an adventure, let me tell you. I watercolored it with Zigs over a layer of Recollections watercolor crayons. I hadn't realized those crayons had a shimmer that shines like cray-cray. The 3D embossed background has such luscious texture that really makes me want to love and stroke the card and call it George. Yum! 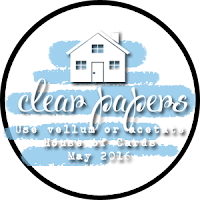 Btw, if you like the look of the Next Level folders (and why wouldn't you), you can get them at The Heart Desires. 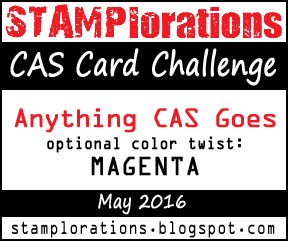 We are halfway through the Stamplorations CAS Anything Goes with the optional twist of magenta challenge. I adore magenta so had no problems incorporating it into my card. I have a series of Brusho panels at the ready and found this one which, with a bit of creative positioning, allowed 2 color tones in the scene. Brushos is just watercolor so I had no qualms about going over the left side of the image with my Copics to add some shading. Lurve it! 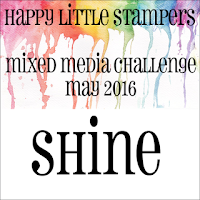 HLS Mixed Media May Challenge: Shine! 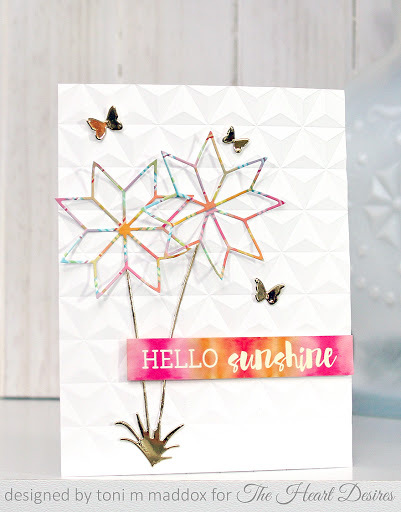 There's a whole lotta shine happening on this here blog. Check it! 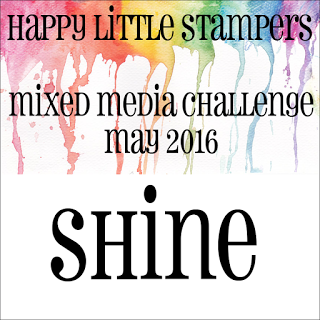 And then why not join us for the Happy Little Stampers Mixed Media Shine challenge! For my card I embossed the SU Swallowtail stamp onto a watercolored cardstock panel. 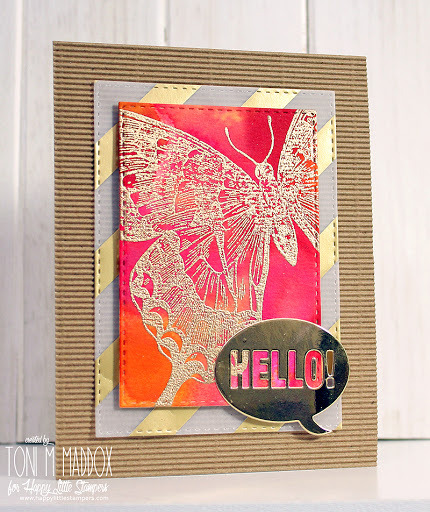 Next I cut a piece of SU gold embossed vellum and layered it over the SU corrugated cardstock--swoon-worthy. I love this stuff! I added a bright gold speech bubble for even more blingy goodness. 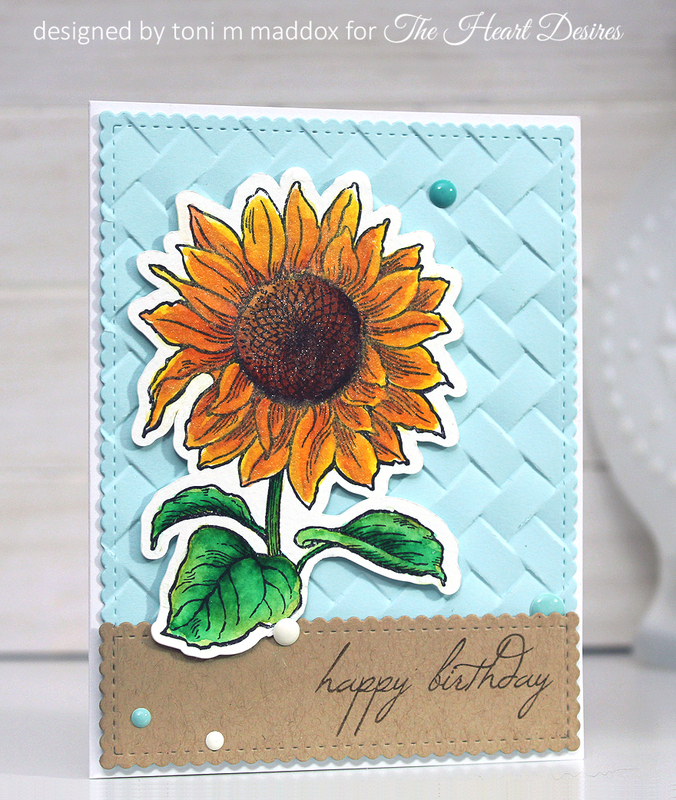 So lots of layers and texture but overall a simple design. Hello, everyone! 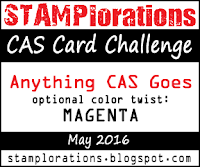 Can you believe it's time for the next Stamplorations CAS challenge? 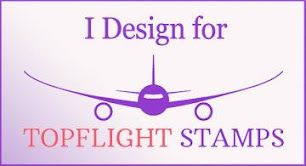 This time the optional color is magenta and as always anything goes. I chose to work up a sympathy card this time as a coworker's sister passed away unexpectedly this past weekend. So very heartbreaking. 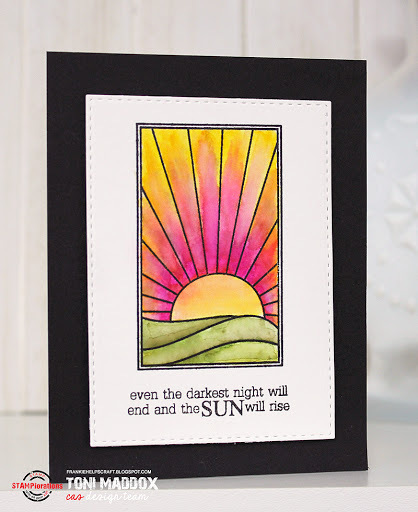 I hadn't intended the card to come out so brightly colored, even with a pale gray wash, but then I realized that it may be just what she needs right now--a spot of color and an inspirational message. 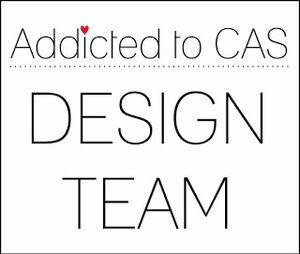 I am so very glad that we create things that bring a bit of sunshine into another's life, aren't you? 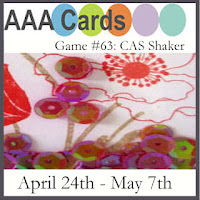 HLS CAS May Challenge Starts Today! 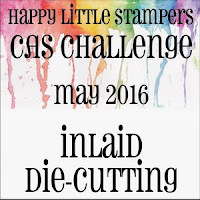 Today we have another fun challenge starting at Happy Little Stampers CAS: inlaid die-cutting. 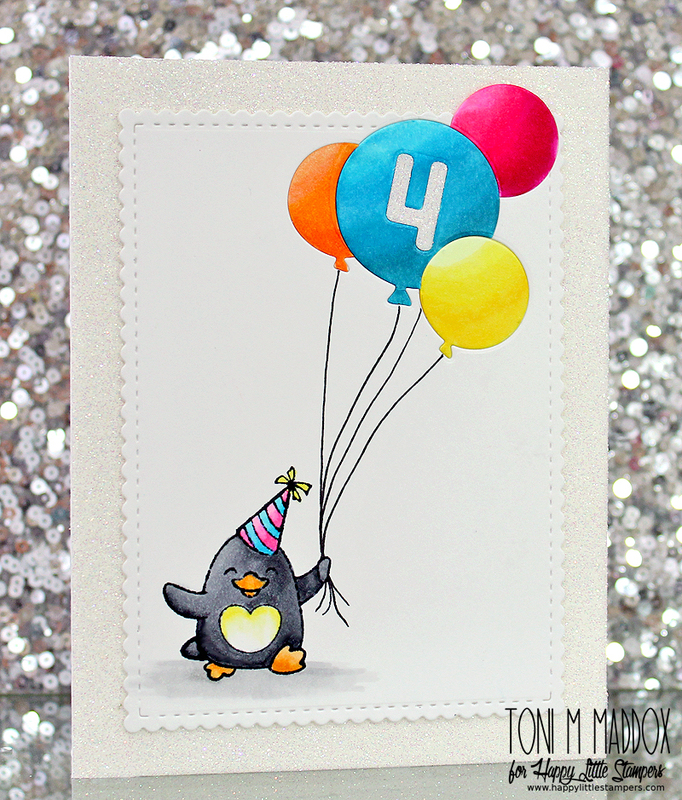 I have a nephew's birthday this month so thought it would be cute to inlay a 4 into a balloon. Well, next thing you know, I'm inlaying the balloons too and making them float off of the main panel. Cool! I used glitter on the 4 by burnishing a diecut of Scor-Tape. 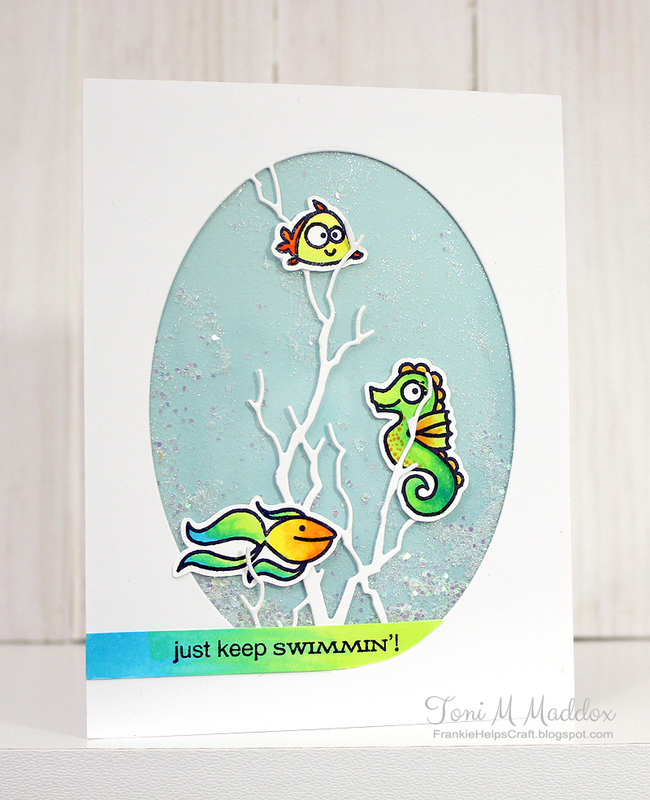 I added Scor-tape around the edges of the card too for some added sparkle and shine. This card may be difficult to mail away I love the sparkle so much--LOL! A couple more examples of inlaid die-cutting I posted last Autumn are below. 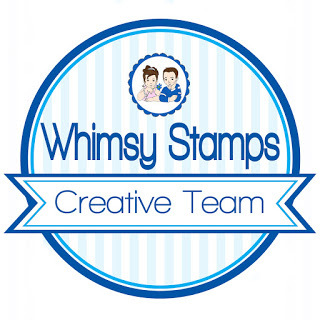 I hope you've had your creativity sparked and you'll join us over at HLS. It's always wonderful to see what you create for each of our challenges! Why hello! 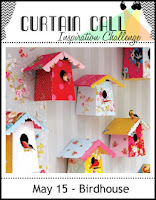 Time for a fab new House of Cards challenge! We're asking you to use either vellum or acetate in your makes. So fun! For my card I went with a flat shaker. I cut out 2 rectangular pieces of acetate then stitched them on 3 sides. I then added the glitter to the resulting pouch and sewed up the remaining side. I prefer stitching over glue--less messy--but that would have worked too. The shaker allows the glitter to move but also keeps some in place like little bubbles. Cute! For the oval and coral I used a branch die on its side. I had seen the die this way at the shop and hadn't realized it was a branch until I read the package when I got home. LOL. I glued the shaker to the front of the card then mounted that on blue card. After the fact I thought of adding in some waves. Next time!